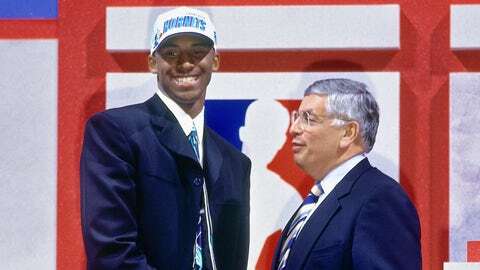 Kobe Bryant was selected 13th overall by the then Charlotte Hornets in the 1996 NBA draft. Remember when Kobe Byrant was drafted by the Charlotte Hornets in 1996? Well, a lot has happened since then. 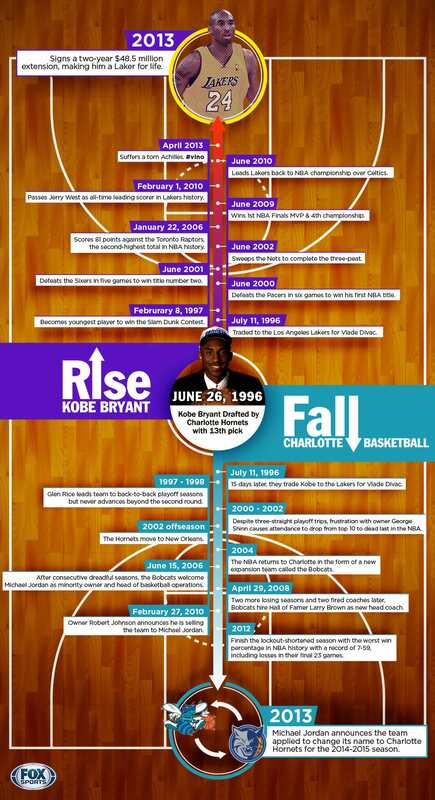 With Kobe and the Lakers playing the Bobcats in Charlotte on Saturday, we take a look back at how different the past 17 years have been for Kobe and the two NBA franchises that have called Charlotte home since that draft.